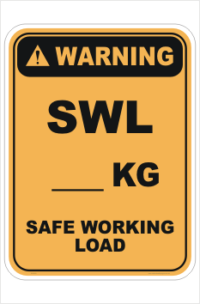 A collection of Warning Worksite Signs. CLICK HERE to see all the Warning signs. To see the other Building site signs, CLICK HERE. If you find the sign you are looking for, you can choose what size you want, right up to a 900 x 600mm, whether you want Aluminium, Steel, Polypropylene, Corflute or just a sticker and whether you want it reflective. We have Class 1 Reflective signs and Class 2 Retroreflective signs. You can even have a protective overlaminate added. You can leave us any additional instructions in the text box for a particular sign. 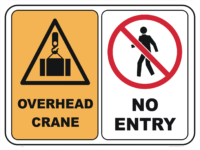 These Warning signs comply with AS1319-1994 Australian Standards. If there is a sign you are after and we don’t seem to have it, try typing it in the search bar up top and tap ‘search’ or hit your enter key. You can always design your own sign. Just have a lok in THIS CATEGORY HERE. If you do customise your own sign and you would like to see a proof before we manufacture it, please make a note in the text box ‘additional instructions’ and we will email you a copy first. 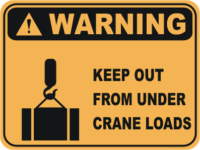 National Safety Signs have many other Safety signs to choose from. Take a tour through our website, there are over 1900 different signs. We ship each working day and delivery can take from 1 day to 5 days depending on where you are. We stock swing stands for 600mm and 900mm signs. They are listed HERE. 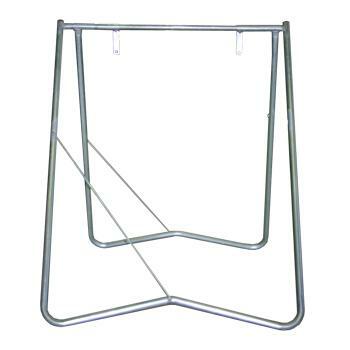 Our swing Stands are made from quality Galvanised steel and are Heavy duty.